A decorated causeway leading to the tomb of a Middle Kingdom Elephantine Island provincial governor has been unearthed at Aswan, Egypt. The causeway is said to be the longest found to date on the western bank of the Nile in Aswan. 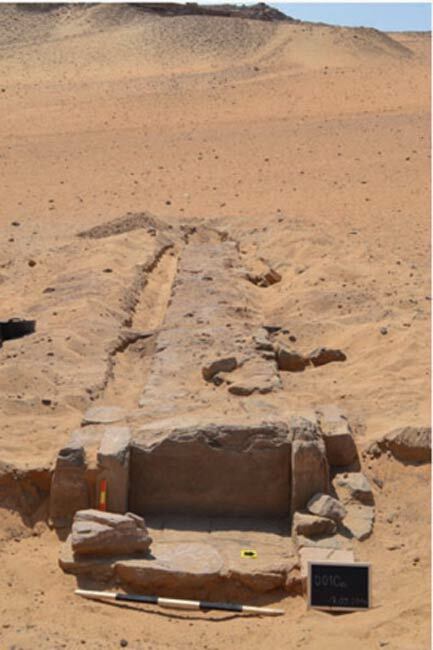 It is also believed that the discovery may change the history of the Qubbet El-Hawa area. The discovery of the tomb was announced by Mahmoud Afifi, head of the Ancient Egyptian Antiquities Department at the Ministry of Antiquities. He explained to Ahram Online that the recently discovered causeway is 133 meters (436.35 ft.) long and connects the tomb of Sarenput I to the Nile bank. While examining the causeway, researchers found beautiful engravings decorating the walls. 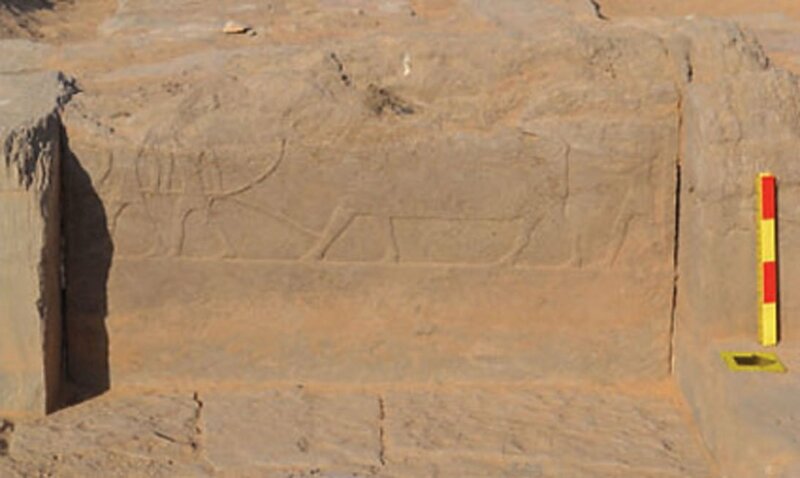 Afifi explained that one of the most interesting images the team found is a decoration depicting a group of men pulling a bull on the eastern part of the ramp's northern wall. It portrays an offering to Sarenput I after his death. The archaeological mission has also discovered a collection of clay containers in a pit located within the causeway. The researchers believe that they are canopic jars that were used during mummification. Organic materials were found inside the containers and the artifacts will be further studied to better understand the mummification process during the Middle Kingdom period (c. 2055 BC – 1650 BC). 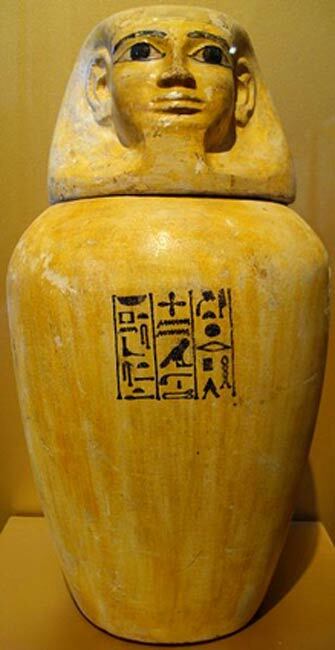 Example of a Middle Kingdom canopic jar from Harageh, tomb 92. ( CC BY SA 3.0 ) This container belonged to Lady Senebtisi who lived sometime during the 12th Dynasty, (c. 1938-1759). The tomb’s first two chambers have colonnades and the burial chamber has a niche that housed a statue of Sarenput I. The reliefs which decorate the tomb show Sarenput with his family and beloved dogs. There is also a scene showing the owner of the tomb with the god Khnum. 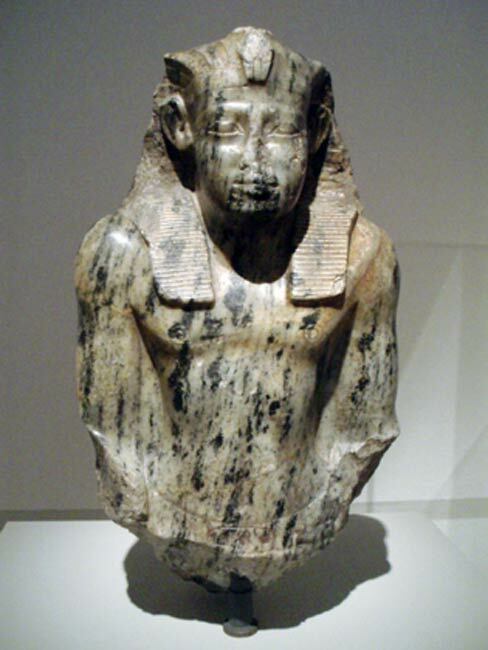 Sarenput I was an Elephantine ruler during the reign of King Senusret I (1971 BC - 1926 BC). He held a few titles, including ‘the overseer of foreign lands’ and ‘the overseer of the priests of Satet.’ Sarenput I was also responsible for the pharaoh’s trade with Nubia. Another headline in archaeology news regarding the ancient Egyptian 12th dynasty was reported by Natalia Klimczak on Ancient Origins in May 2016. That discovery was the tomb of a prominent lady called Sattjeni. Her tomb was found by Spanish Egyptologists in the necropolis of Qubbet el-Hawa (West Aswan), Egypt as well. The team of researchers from Jaén University in Spain has been working in West Aswan since 2008 and, since that year, they have discovered several intact burials from different time periods. A group led by Alejandro Jiménez-Serrano discovered the tomb of Sattjeni, who appears to have been one of the most important women of her time. According to El Confidencial , inside the tomb the researchers discovered the remains of a woman who was buried in two wooden coffins. The inscription allowed them to discover her name. Sattjeni was the mother, daughter, and a wife to important governors. Her family worked mostly in the service of pharaoh Amenemhat III (1800-1775 BC). She was the daughter of Prince Sarnbhut II , and the mother of Heqa-Ib III and Amaeny-Senb (two of the highest Elephantine authorities under the reign of this pharaoh). Her body was discovered wrapped in linen and deposited in two coffins made of cedar from Lebanon. Her face was still covered by a cartonnage mask. The inner coffin was very well preserved, enabling the accurate dating of the year in which the tree was cut to make the coffin.